Map Update: Current Results Of Syrian Army’s Advance In Eastern Idlib, Northern Hama And Southern Aleppo 4.8148148148148 out of 5 based on 27 ratings. 27 user reviews. This map provides a general look at the current results of the Syrian Army’s advance in eastern Idlib, northern Hama and southern Aleppo. Government forces have liberated a large number of villages in the aforementioned areas and now are working to clear the militant-held pocket northwest of Khanasir. Seprately, the Tiger Forces are working to repel counter-attacks by Hayat Tahrir al-Sham and to establish control over the strategic Abu al-Duhur airbase. SAA has done it again. Pocketing the rats inside and make them surrender or killed. Nice. Head chopping moderates lost a quarter of their reservation.Less space, less resources, more reason to kill each other. It’s time for SAA to dig in for the winter, break out pop corns and start betting on the worlds biggest dog fight that is “Idlib protected area”. Leaving the IS enclave alone was clever. A remark like that makes me seriously wonder which side you are on . No, we’re the decent people, remember? Mountains ; your jihadists are loosing , they will loose completely , you will get over it . Mountains this is over even the US can see this and are making their preparations , but things are starting to blow up again in their faces. They send manpads to Afrin , then in Manbij their Stazi murders 2 youths by beheading them. Things are looking bad all over for them with Turkey making feints toward Afrin and Manbij. Except there is no army here. Just small groups of terrorists. It’s sound advice in a battle but is poor advise in a war where putting the enemy in pockets is a good thing. look at rad army: enclose, destroy the enemy groups. enclose, destroy, enclose, destroy, … until berlin. I think that particular Sun Tzu’s doctrine has been superseded by the maneuver warfare techniques that the Germans introduced in World War II, in particular Kesselschlacht. Terrorists and drug addicts are already fighting with the courage of despair. Did you kill Jack Beauregard? although calling the jihadists a combined arms force would be too much, nonetheless they have large pools of mechanized equipment, artillery, ATGMs and other hardware – that makes them much more than “small groups of terrorists” – in the sense that they cannot be just fixed and mopped up. there’s the need to proceed on an operational level basis, with a centralized command that keeps considering the whole country as area of operations. The terrorists may have lost the “unified” kind of command they had until one year ago or so, when it was clear that the CIA was directing the operations of its various arms (from the moderates in the west, to the SDF, to ISIS in the east), yet this “operation rooms” still retains control over several groups, and the war can’t be considered won until they are all destroyed. You’re right that it’s not won, but if the Syrian government coalition doesn’t let up, it’s going to be. it was hit (the opcenter) by a bomb, one year ago, I believe 29 have been reported KIA. It was a common center, running Allepo front, as I can recall. But important is, that it is a dust today. And I hope, that Mossad and CIA advisors have been there as well. There are a lot of them east of the river, and the Syrian government is looking for them. The Jewmerican government represents the Jews, not the American people. Outside of the DC beltway and a 50 mile radius of NYC, there are a lot of Americans who are very unhappy with what the evil Jews have done to the US. 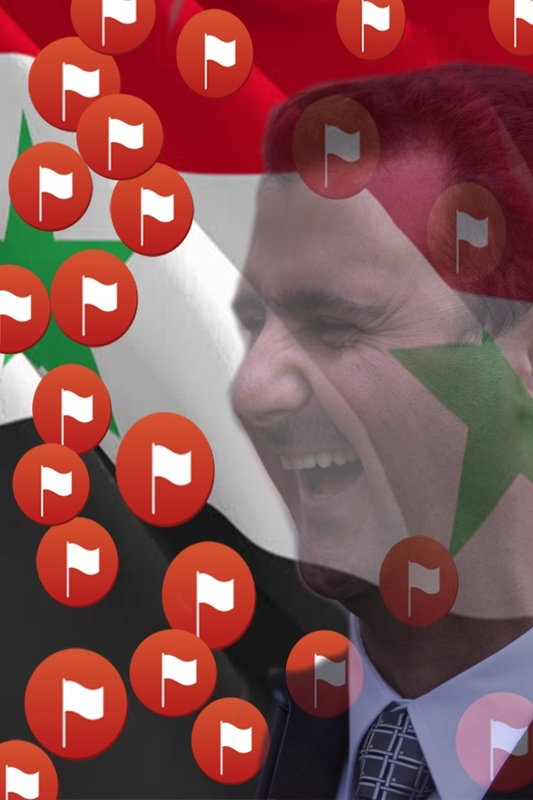 i’m not talking about a phisical headquarter, but about an organizational entity, the highest in level, that of course is phisically based outside Syria. The al Hass pocket is cleared east and west from the road at Tal Daman , the gap between the forces near Abu Duhur is 2 km now as more forces come to this region. The Syrian MoD has sent more regiments to counter the Uzbekstani,Turkistani, Chechens and Uighurs that was roused by the US to fight in Idlib to help the NATO’s Proxy Levant Committee aka HTS aka Jabaht al Nusra aka Jaish el Fateh etc all known as Al Qaeda and its affiliates. Many of the forces the SAA are encountering are all foreign terrorists no moderates in any of them. After all of these years, it’s wonderful to see the SAA and it’s allies clearing this problem area so quickly and efficiently. It really puts the Kurds and others east of the river, and the rest of the contained areas west of the river on notice that they need to take the government seriously or face the consequences. Much of humanity is rejoicing at seeing the evil Jews and their terrorist regime change machinations being soundly defeated so close to their borders.